Last week for a lecture on “The Power of WOW” our entire group did a sunrise hike of Table Mountain. 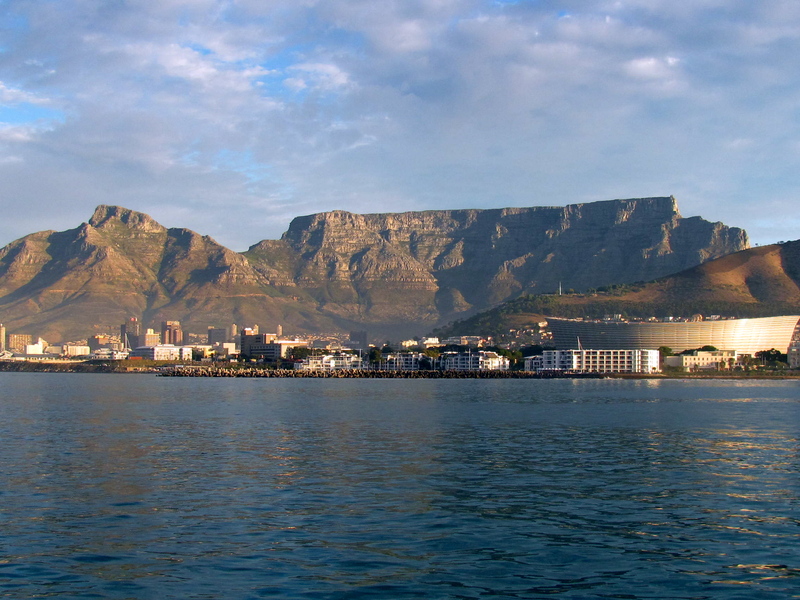 It’s a flat topped mountain that overlooks the city of Cape Town and serves as the cities most notable landmark. Table Mountain sits about 1,o00 meters (3,500 ft.) above sea level and the early morning hike was definitely a challenge. It is possibly one of the hardest things I’ve done in a long time. Before the trek I was imagining a Stone Mountain like journey up the mountain but the steep, windy hills definitely were nothing like the small, Georgia mountain. Go ahead and check number 34 off, I’m right here! Awesome list Jhaff… You better get to dating if you’re going to check all of those off. It looks like you’re having a blast. I’m excited for whenever we end up back in the same city and can catch up.